It’s been such a crazy week for me both physically and emotionally. If you follow me on Instagram and watch my stories, you will see that I’m barely getting any sleep, I’m stressing my eyeballs out about campus and that I’m currently recovering from Bronchitis. But never-the-less, I really wanted to tell you guys about my Core-Barre Journey. It’s coming towards the end of my Get Fit Challenge with Freddy SA and I’m honestly feeling great! I hit a few bumps along the way, yes I cheated, several times intact, I skipped classes and became extremely unmotivated. But the improvement I’ve seen in my body over minimum work in just a few weeks makes me want to punch myself in the face for not pushing through and working that much harder! My small realization came a few days ago actually. I was going through the images of my shoot with Wedding Photographer Marilize Coetzee for Core-Barre and Freddy SA, and I’m looking at these images and struggling to realize that it’s me in these photos. If it had been me 8 weeks ago, I would have never dared to stand in front of a camera with tights on, so this was a first for me. I am a tiny Indian girl, 1,5m tall and weigh a decent weight for my body type. However my biggest problem area was tummy fat – You know us Indians love our rice and potatoes, so this was my biggest challenge yet. If you have a bad perception about gym, let me change that for you quickly. 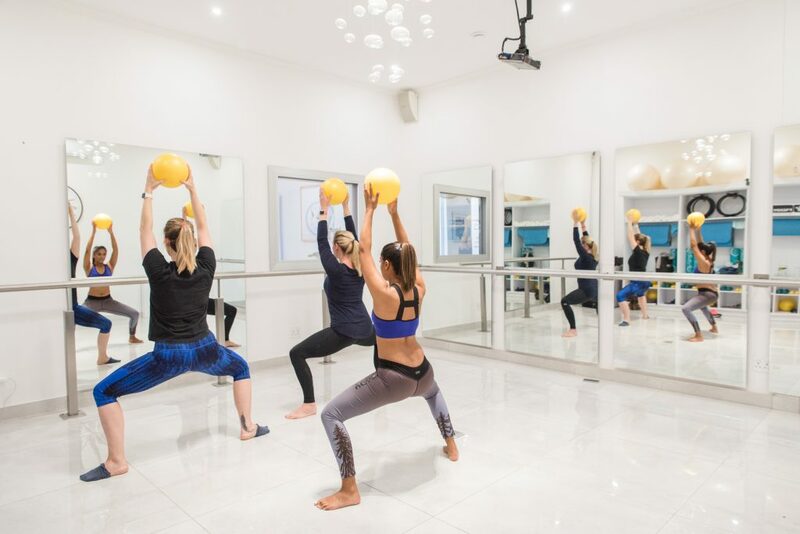 Core-Barre has such an amazing studio, that you don’t even see the class as a workout, but rather a place we come to meet new people and share and motivate each other on each journey. Experiencing Barre and Pilates was completely new to me and I had no idea what I was getting myself into, but boy oh boy did I realize how unfit I was. There were ladies twice my age that had a higher endurance level than I had. Barre is very much like learning endurance and keeping with a pace. There are a lot of ballerina exercises which I write enjoyed and its so easy for beginners. Pilates on the other hand in a complete workout and a half without needing to get your heart rate up. Pilates is amazing for your abs, it can ease back pain, it’s easy on your joints, makes you more flexible and requires all your focus, which means its the best workout for the end of the day where you’re forced to forget about school, work or bills for a full hour. The first three weeks of the challenge were a breeze. I convinced my mother to join me on the challenge, and our biggest change had to be our diet! our diet consisted of NO SUGAR and NO CARBS. Sounds impossible right? But heres how we did it. We figured that if we had unhealthy food in our fridge and pantry, then we were going to eat that unhealthy food. So we started with this – got rid of all the rice, bread and potatoes in our house for starters. Then we put away the sugar, gave away all chocolates, sweets and chips in our pantry, switched over from sunflower oil to coconut and olive oil, and stuffed our fridge with fruits and vegetables. I adjusted very quickly to having a health smoothy every morning which consisted of strawberries, blue berries, milk, yoghurt, nuts and chia seeds. This replaced my usual coffee every morning really well and it substituted my sugar really well. A usual breakfast was a spinach and feta omelette with a avocado salad. For Lunch I would have a cajun chicken with carrots, baby marrow and a side of avocado. Supper became the most difficult adjustment as we substituted rice with cauliflower rice. This is basically cauliflower in a food processor for a few seconds until its a rough texture, boiled for a few minutes with a dash of salt and you have the perfect substitute for rice. In fact, I found my cauliflower rice portions such smaller that my rice portions because the cauliflower was much heavier. I treated myself to a lean steak once a month but we mostly had chicken and fish because it was more affordable. Whenever we ate out, we would look for places that served a good steak and would always as for sweet potatoes as the carb. By the forth week into the challenge I started developing ketosis. Ketosis is a normal metabolic process. When the body does not have enough glucose for energy, it burns stored fats instead, this results in a build-up of acids called ketones within the body. So because my body had no carbs to burn, I realized I was loosing weight around my tummy area, simply because my body started burning fat for energy. The acid build up in my body worsened even though I was drinking enough water. My mouth started developing blisters inside, my mouth was always dry, my tastebuds were swollen and I couldn’t taste anything, and any sort of heat was too much for me to handle. It was a really uncomfortable process. I think my body was so shocked my the change that it was reacting this way, and in turn, I had an extremely low immune system and got sick. During all of this I have no idea why I wasn’t taking any vitamins! So if you are deciding to go the same route, take a vitamin! After getting sick, my body started shutting down, I became tired, and unmotivated. I gradually started eating carbs again, hoping that I’d gain my taste back. At times I would just eat any meal so I could take my medication. Beeeeeg Mistake! Everything should be done in moderation. The most fun part was attending Core-Barre. The trainers are amazing, they help you keep going throughout the class and push you when you need to be pushed. I enjoyed the pace I was going at, I could double up on afternoon classes, they have the BEST fruit infused water and my endurance increased by A LOT! The next challenge at Core-Barre is the Ab Sculpt challenge. The challenge consists of barre and pilates together with a guest trainer Floyd Lebatie. We will be joined by guys this challenge so its going to be super challenging and exciting! To join the challenge, head over to the Core-Barre Facebook page for all the information you need! Lets get those Abs summer ready! Also, if you would like to join me at our Get Fit Challenge Finale, you can head over to Bookamat to secure your spot for the Launch of the Rooftop Core-Barre as well. How exciting!